A string of TV stars have given their backing to a forthcoming quiet shopping hour to help people with autism. The National Autistic Society’s Autism Hour, supported by toy store The Entertainer, is creating a week of autism friendly shopping experiences across the UK later this year. Shops, businesses and shopping centres will be holding Autism Hours throughout the second week of October from 6-13. 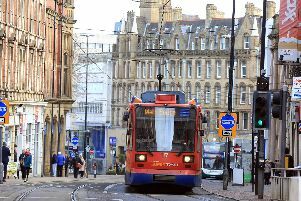 Major high street names have backed the move including The Entertainer, Sainsbury’s, Argos, Lloyds Bank, Halifax, Bank of Scotland, Co-op and Schuh. And now TV presenters Chris Packham, Christine McGuinness and Anne Hegarty have all thrown their support behind the project. Autism Hour was launched last year as the first mass-participation event to encourage shops to be more autism friendly and more than 5,000 shops and businesses took part. This year the National Autistic Society wants the event to be even bigger and is encouraging more shops and businesses to get involved. Autism Hours are designed to show businesses the simple steps they can take to improve the shopping experience for autistic customers and families. There are around 700,000 autistic people in the UK, as well as three million family members and carers. Being autistic means seeing, hearing and feeling the world in a different, often more intense way to other people. Autistic people often find social situations difficult and can struggle to filter out the sounds, smells, sights and information they experience, which can make busy public places, like shops, overwhelming. Christine McGuinness, mother to 5-year-old autistic twins, Penelope and Leo, and star of ITVBe’s Real Housewives of Cheshire, said: “The National Autistic Society’s Autism Hour is a brilliant way of showing shops how easy it can be to make little changes that have a huge impact for families like mine. “As a mum to autistic children, it is my job to protect them and help make a world which works for them. Like any other family, we want to have the option of going to shops, to go clothes shopping with them and let them pick out clothes and experience a fun family day out. Something that people may take for granted. Chris Packham, TV presenter, naturalist and National Autistic Society Ambassador, said: “I rarely go into supermarkets. I find that environment really challenging, all of the bright lights, the confusion of the enormous complexity of goods in there, plus all the smells and the sounds. Anne Hegerty, The Governess on ITV’s The Chase and National Autistic Society supporter, said: “I do think the National Autistic Society's Autism Hour will be important and helpful to many autistic people and their families, although it takes more than a crowded shop to make me melt down. “It's important to recognise that all autistic people are different, and what could cause a meltdown for one person may not for another. “I like supermarkets for being generally not too hot and having large wide aisles, so I don't feel crowded which suits me. However, for anything other than food shopping, I tend to order online and collect in store at a time that suits me. Pushing through the crowds to Manchester's Arndale Centre is tiring, and more so if there's lots of noise - buskers, street sellers, people on their soapboxes. Mark Lever, Chief Executive at the National Autistic Society, said: “It’s wonderful to see so many well-known high street retailers have already signed up – and ready to make the world a more autism friendly place. “Autistic people represent a huge part of our society and it is a disgrace that 64% of autistic people avoid the shops. And, shockingly, 28% of autistic people have been asked to leave a public place for reasons associated for their autism. They and their families want and deserve to have the opportunity to go to the shops, just like anyone else. “The National Autistic Society want a world which works for autistic people. With Autism Hour, we want to show retailers the small things they can do to help open up the high street for autistic people. Things like staff finding out a bit more about autism and making simple adjustments like turning down music or dimming the lights. It’s often the smallest change that makes the biggest difference.